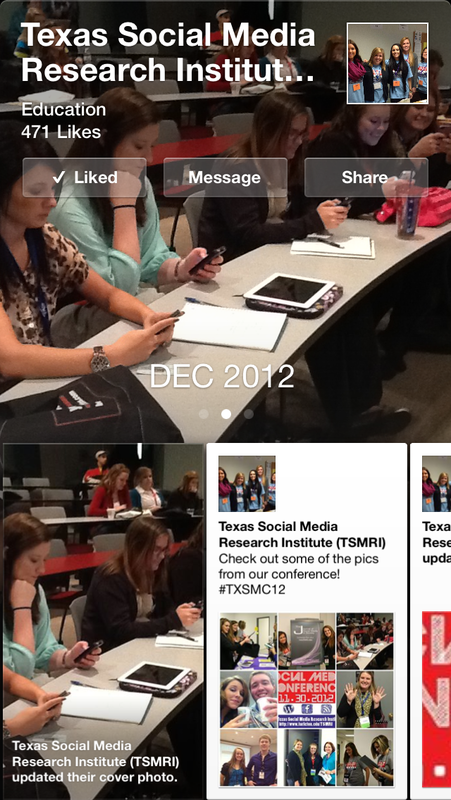 The Texas Social Media Research Institute (@TSMRI): Facebook's new "Paper" app: a game changer? 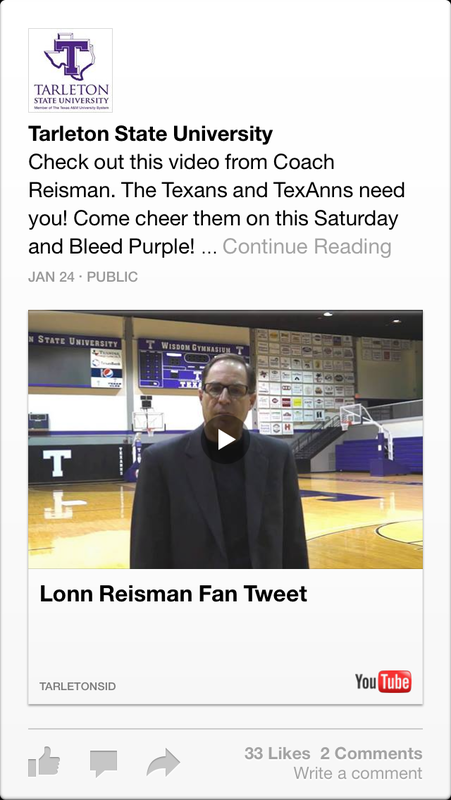 Facebook's new "Paper" app: a game changer? In the firm’s first Creative Labs project, Facebook releases Paper – stories from Facebook. This is a new initiative to reinvent the Facebook timeline and also serves as a way to aggregate content outside the Facebook ecosystem (Hamburger, 2014). The free iPhone app reached the top of the Apple iOS store within hours of release. Facebook has yet to add an Android version and a native iPad version (Harding, 2014). as shown in the iOS Facebook Paper app. From the news feed, one tap will bring a story to full screen. Just as quickly, a swipe will take the story out of view. 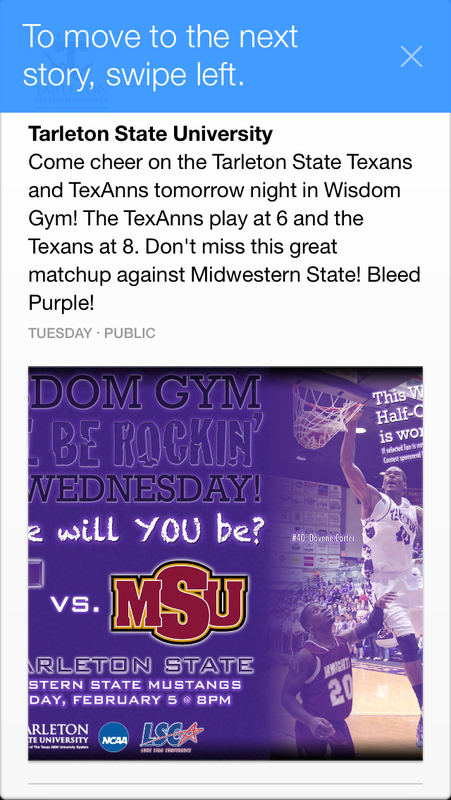 The simplistic nature of the app makes the user generated content pop. The interface is all about swiping left, right, up and down to move between stories. The interesting thing about Facebook Paper is how it does not promote itself as being a Facebook app. The predominant things that a user would want from the stock Facebook app such as friend requests, messages, and notifications do appear in this new app (Dellinger, 2014). This app seems to set the stage for how Facebook views itself moving forward. If you have used Facebook Paper, let us know if you prefer it over the stock Facebook app. Which app will you be using more? Sound off in the comments below. Dellinger, A. (February 3, 2014). Digital Trends. In Facebook Paper is half social network, half Flipboard, and fully awesome. Retrieved February 6, 2014, from http://www.digitaltrends.com/mobile/facebook-paper-review/. Hamburger, E. ( February 3, 2014 12:12 pm). The Verge. In This just in: Paper is the best Facebook app ever. Retrieved February 6, 2014, from http://www.theverge.com/2014/2/3/5373488/facebook-paper-app-review. Harding, X. (February 5, 2014 9:48 AM EST). International Digital Times. In Facebook Paper Android Release: When Can Google Users Download Zuckerberg's Latest App?. Retrieved February 6, 2014, from http://www.idigitaltimes.com/articles/21787/20140205/facebook-paper-android-release-download-app-mobile.htm.